ALLEN BRADLEY RV6NATSD103B RV6 style potentiometer. 10000 ohms 20% tolerance. Linear taper. 0.5 watt 350 volts rating. 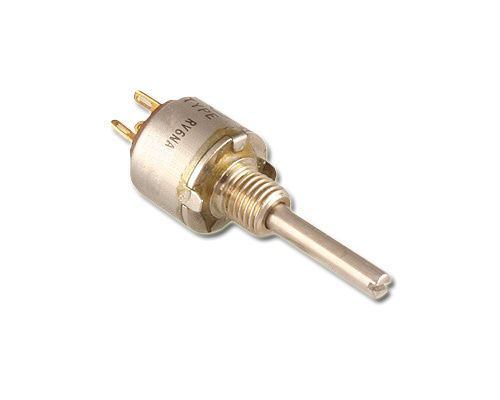 RV6NATSD103B is a 1 turn potentiometer with solder terminals. Standard bushing. 0.875 shaft length. Slotted shaft. Made in USA.